The South Korean men’s football squad departed for Austria on Sunday to set up its pre-World Cup camp, 15 days before their first group stage match in Russia. 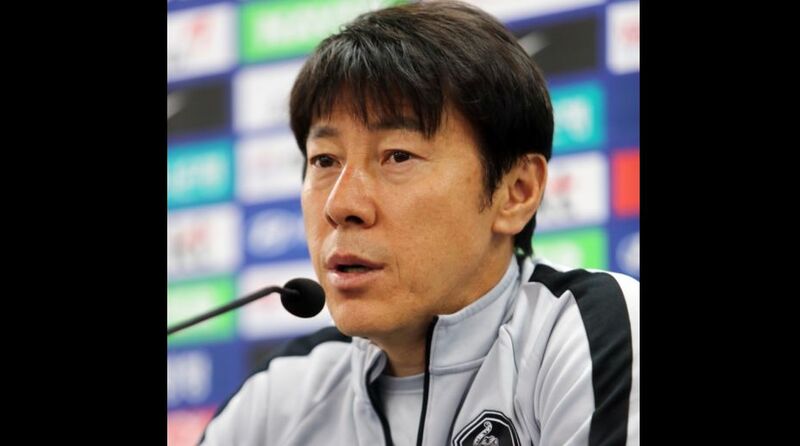 Head coach Shin Tae-yong and his 23 footballers will settle down in Leogang, in the state of Salzburg, and play two more tune-up matches there before hopping over to St Petersburg on June 12, reports Yonhap news agency. “We’ll fly to Austria and will prepare thoroughly for the long-awaited World Cup,” Shin told reporters at Incheon International Airport before his flight. Drawn in Group F, the 61st-ranked South Korea are scheduled to play world No. 23 Sweden at Nizhny Novgorod Stadium, Nizhny Novgorod on June 18, followed by the 15th-ranked Mexico at Rostov Arena, Rostov-on-Don, on June 23. South Korea’s final Group F opponents will be Germany, the defending champions and world No. 1, at Kazan Arena in Kazan on June 27. South Korea are playing in their ninth consecutive World Cup but will be the underdogs in all group matches. Their most recent performance didn’t exactly inspire confidence in a skeptical fan base. After downing Honduras 2-0 on Monday, South Korea fell to Bosnia-Herzegovina 3-1 in their final World Cup warm-up match at home on Friday, with their defence badly exposed. Shin will have two more opportunities to test his systems. South Korea will face Bolivia on Thursday and then Senegal four days later. The latter contest will be held behind closed doors.